If you’re preparing for a move across the country, your plate is probably full—from organizing and packing to finishing up job duties and finalizing your rental or home-buying plans. With so much to do, why add one more thing to your demanding schedule? By working with the experienced Northborough, MA movers of Liberty Movers, you can enjoy the easy, hassle-free move you’re hoping for without a ton of effort or expense! As Worcester’s largest and oldest moving company—in business since 1920—we have the specialized knowledge and time-tested expertise to take you anywhere in the country with minimal stress and cost. Whether you’re moving into or out of Worcester County, choosing a reliable local moving company will make your experience much easier. At Liberty Movers, not only are we one of the longest-standing moving companies in the region, but our Northborough long-distance movers are also backed by the nationwide expertise of Bekins Van Lines! One of the oldest moving lines in the country, Bekins’ extensive network covers not just the United States but the entire globe, allowing us to safely and efficiently move you anywhere you need to go. We’ve even earned Bekins’ “Agent of Month” award three times! Contact Us Now for a Free Written Estimate of Your Long-Distance Moving Costs! 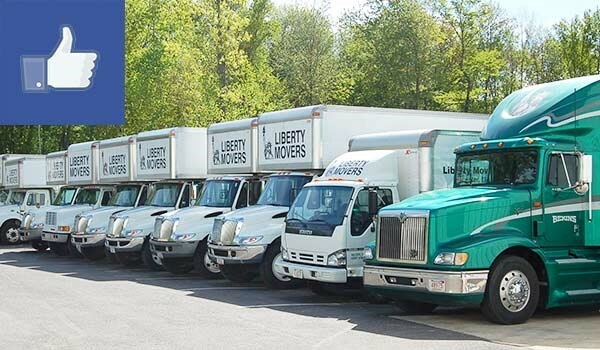 Long-distance relocations are easy when you choose the most experienced moving company in Northborough: Liberty Movers! So contact our professional long-distance movers today by calling us or completing our simple online form now. A friendly representative will be in touch to schedule your free in-home walk-through and no-obligation moving estimate.